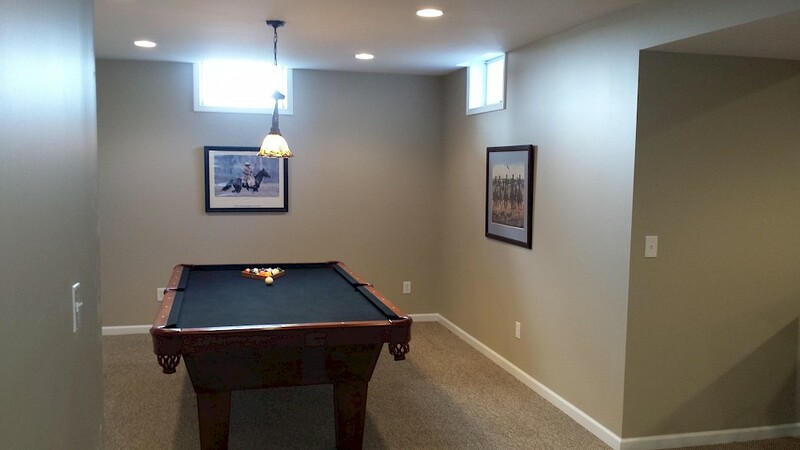 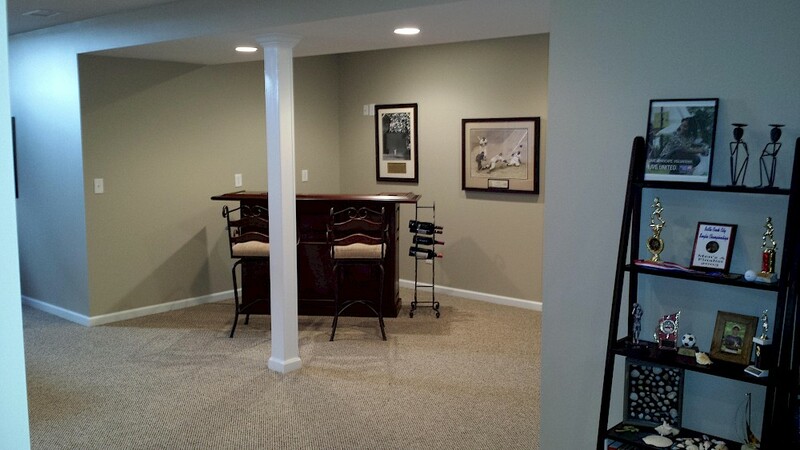 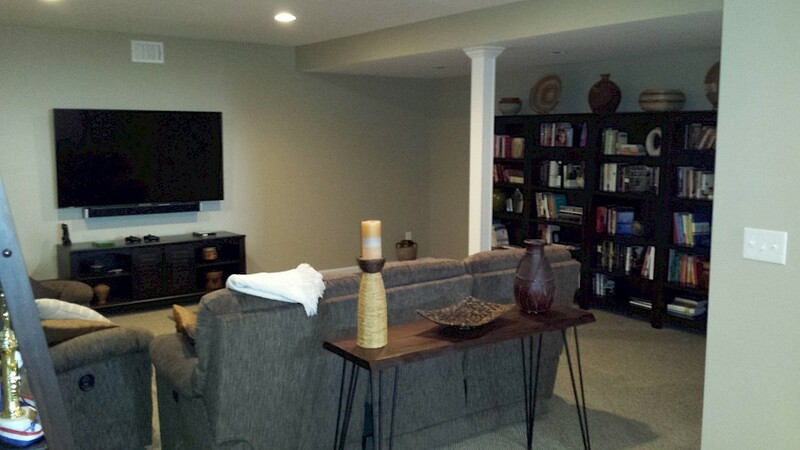 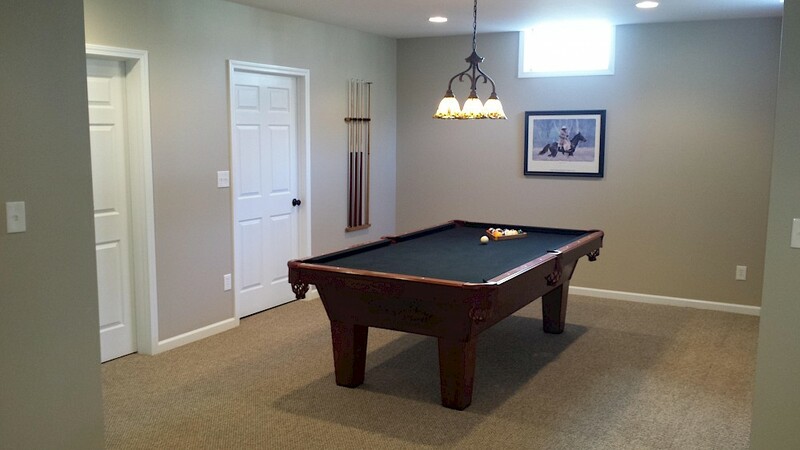 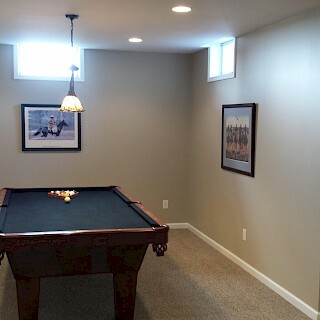 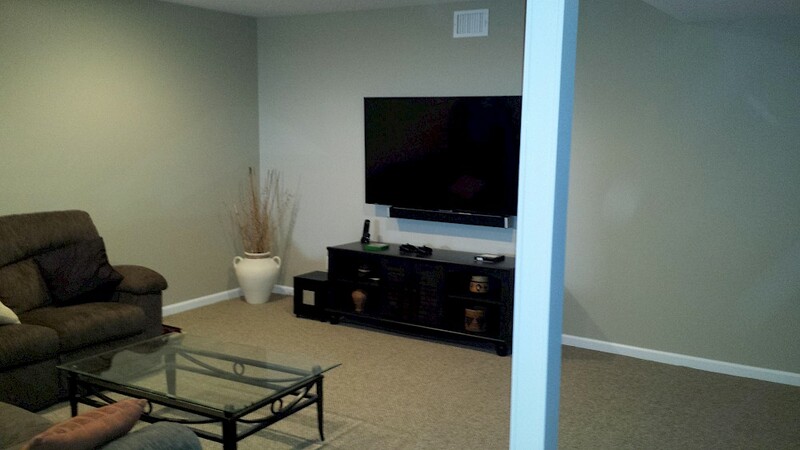 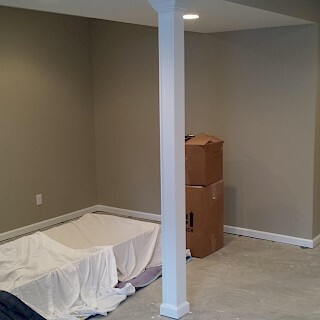 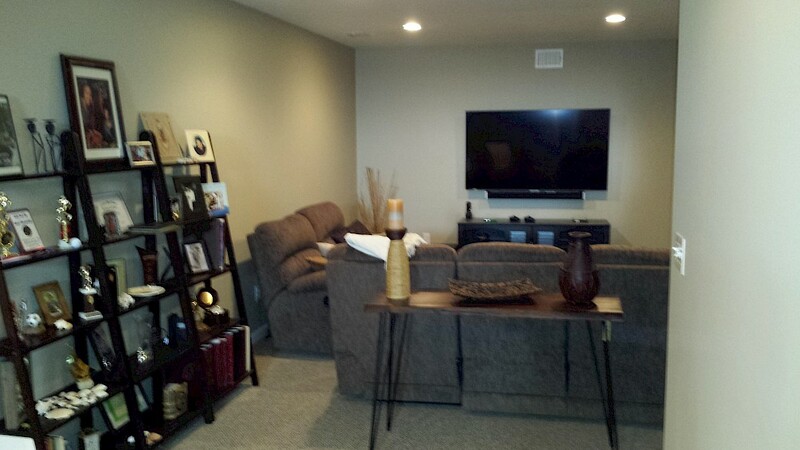 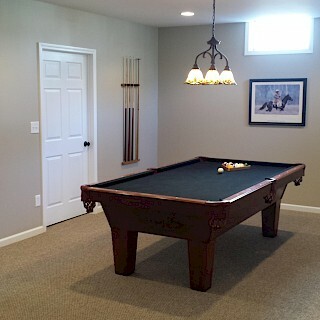 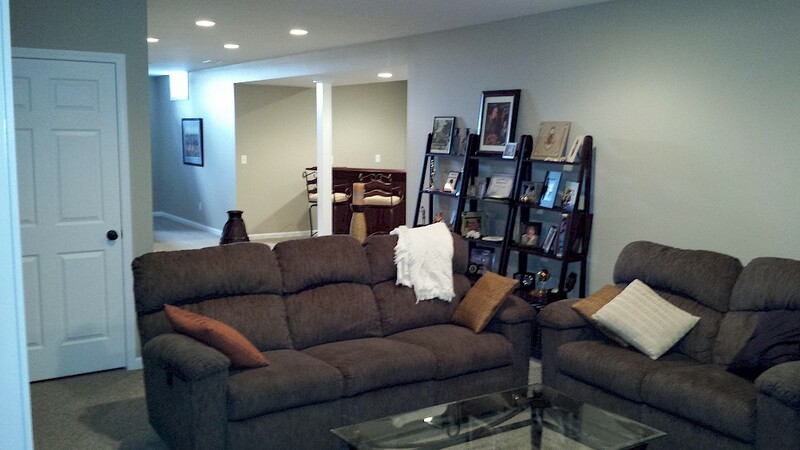 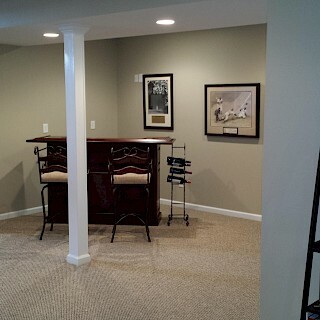 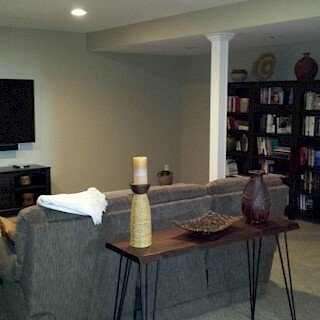 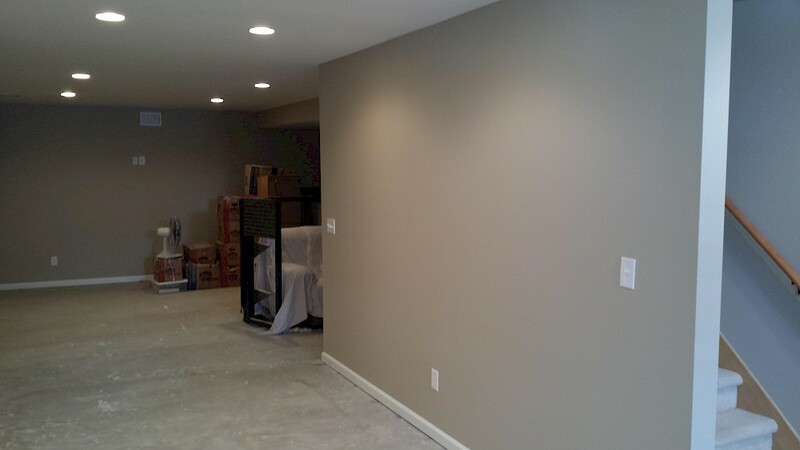 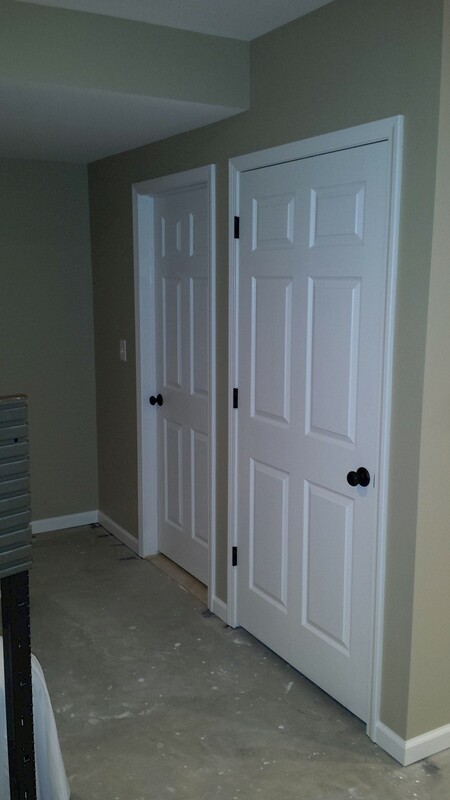 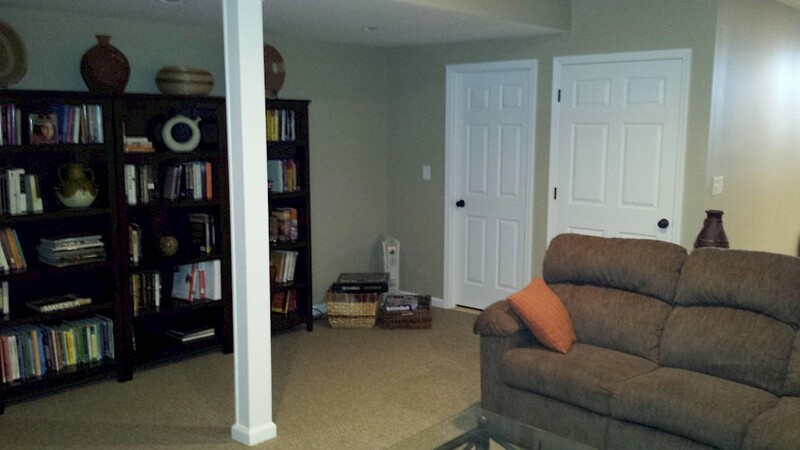 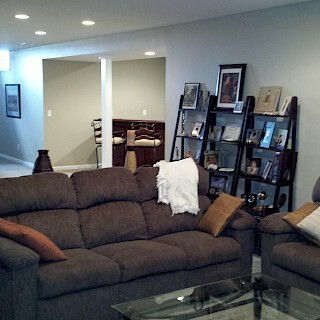 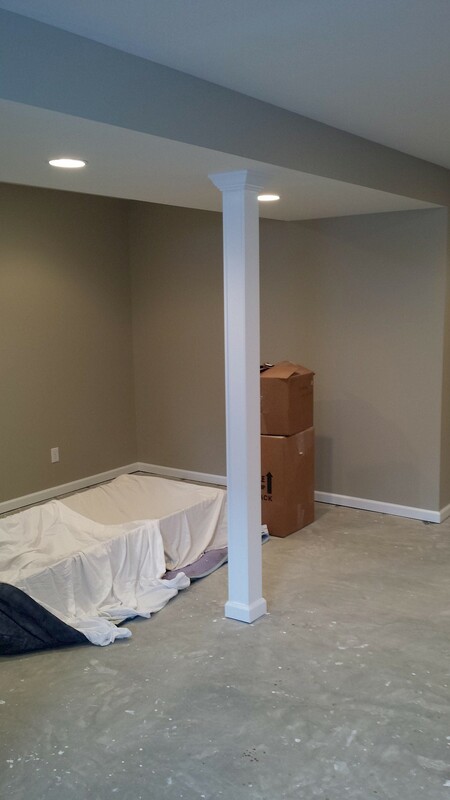 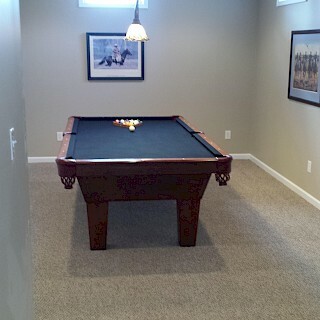 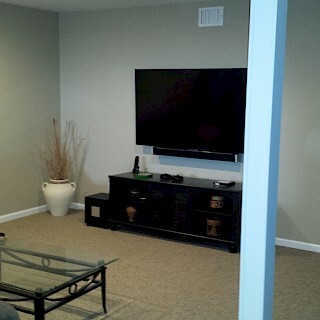 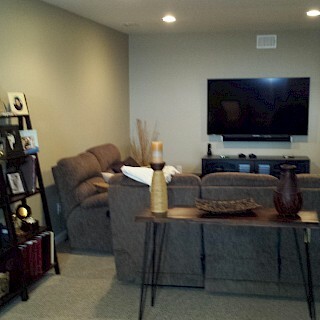 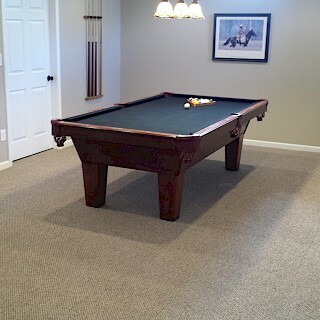 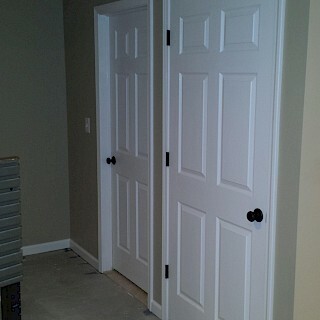 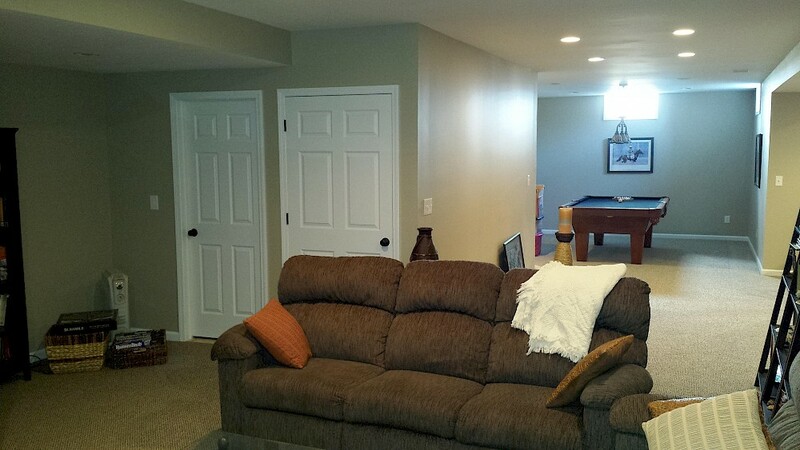 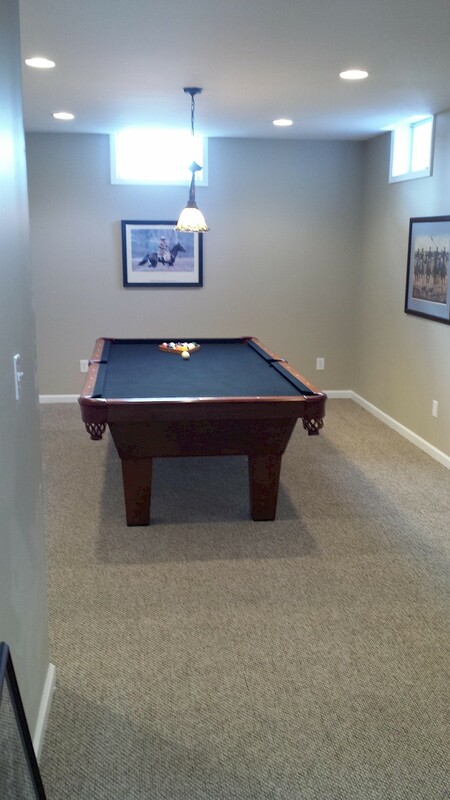 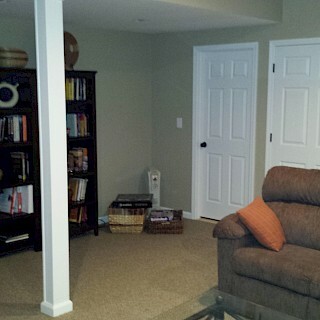 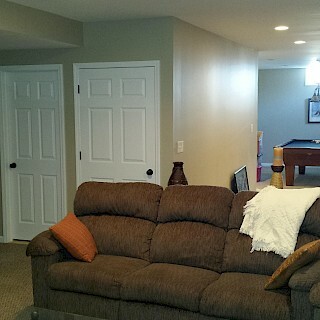 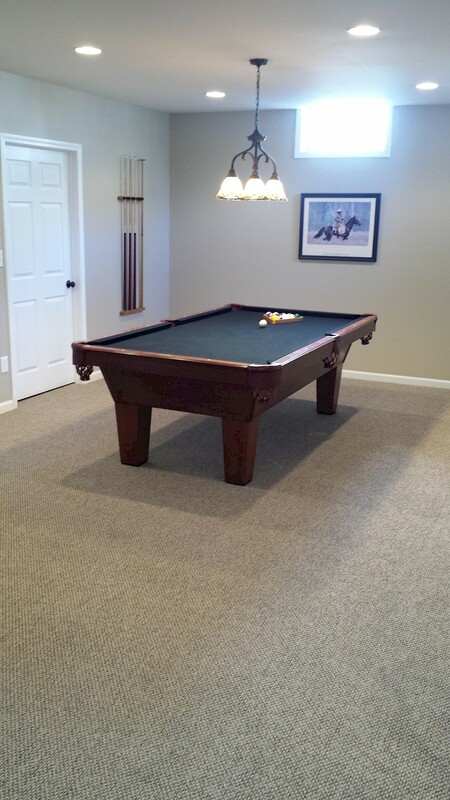 This Saline basement was one of Exemplar Carpentry’s largest renovations to date. 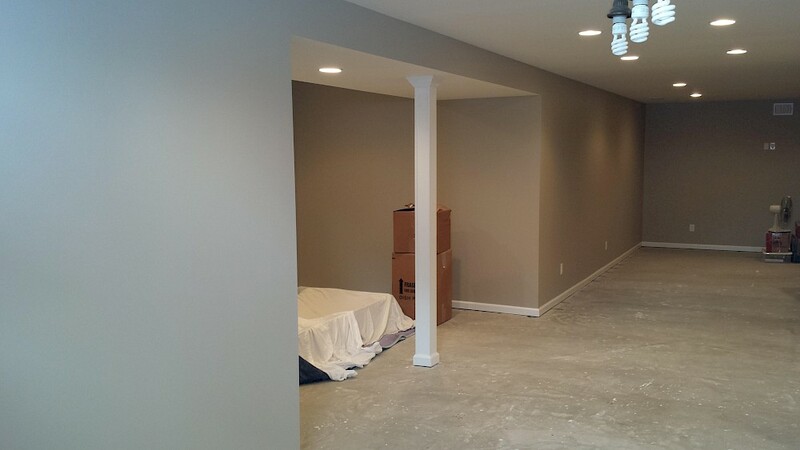 We framed all the walls and ceilings to create a second living space featuring a family room, fitness room, bar area, and a full bath. 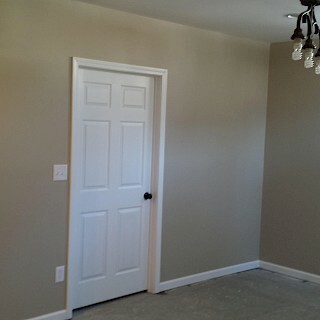 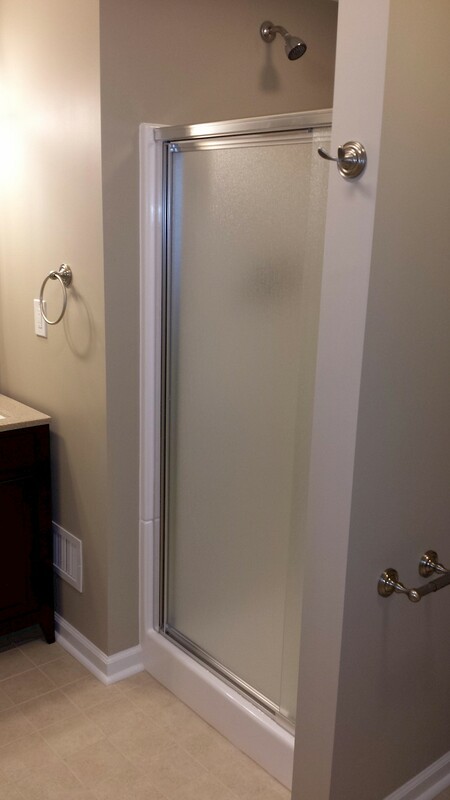 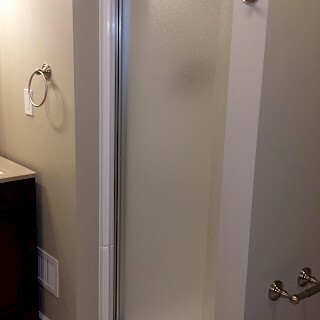 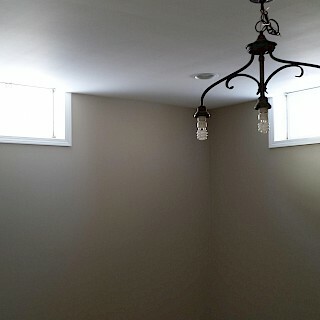 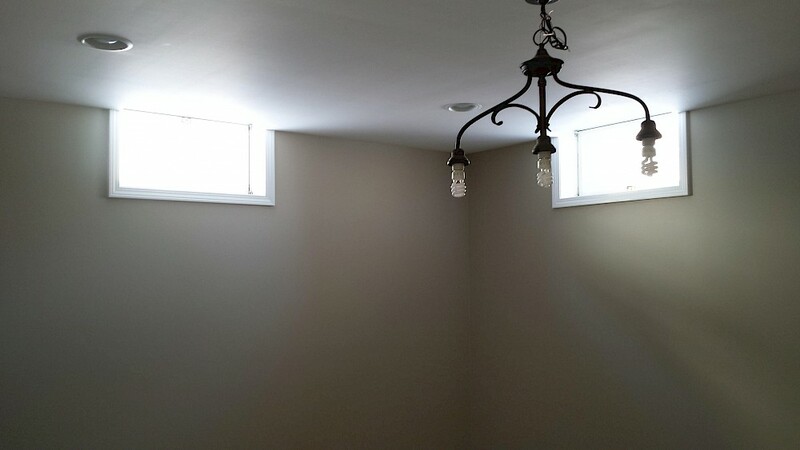 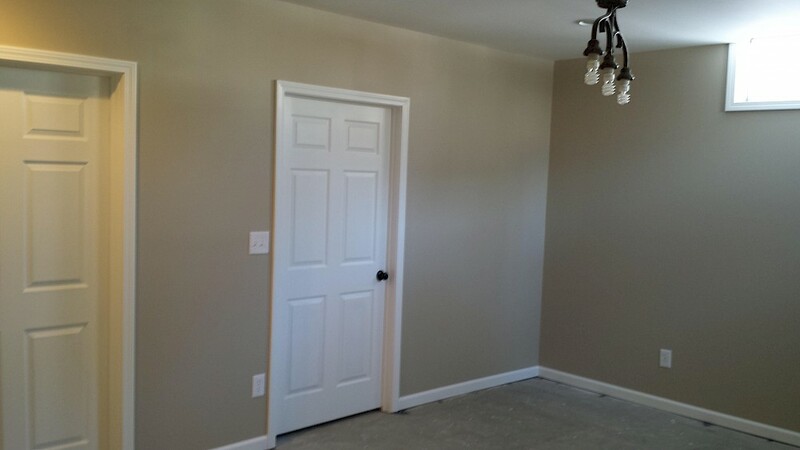 The electrical and plumbing were all brought up to code, the drywall was hung and finished, the rooms were all primed and painted, and trim was hung throughout the space. 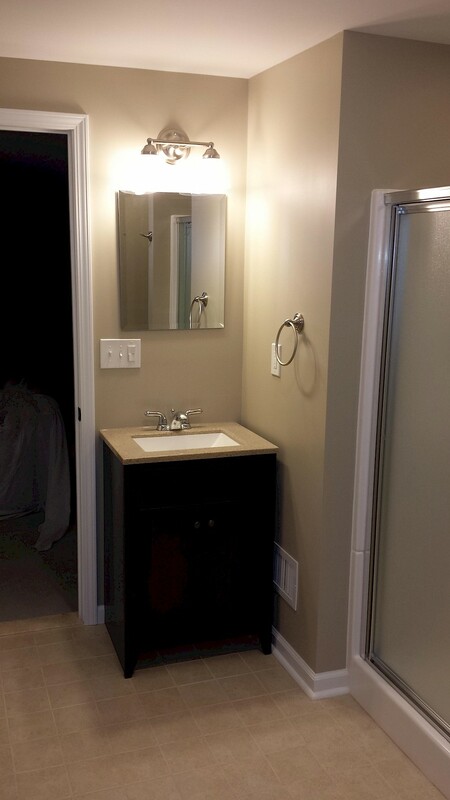 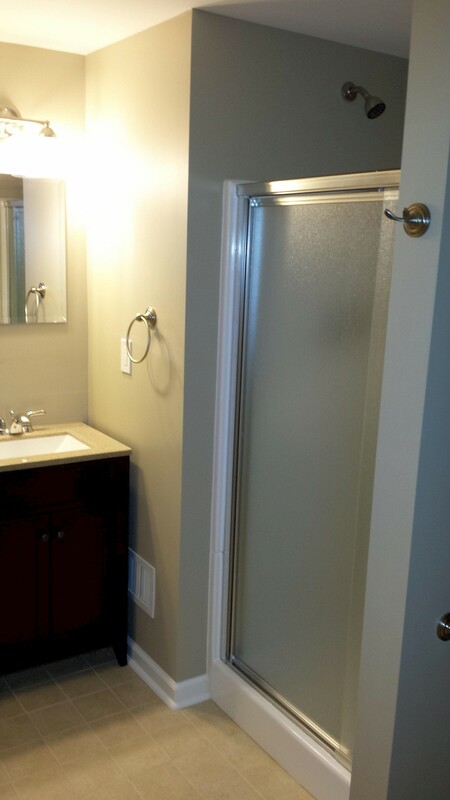 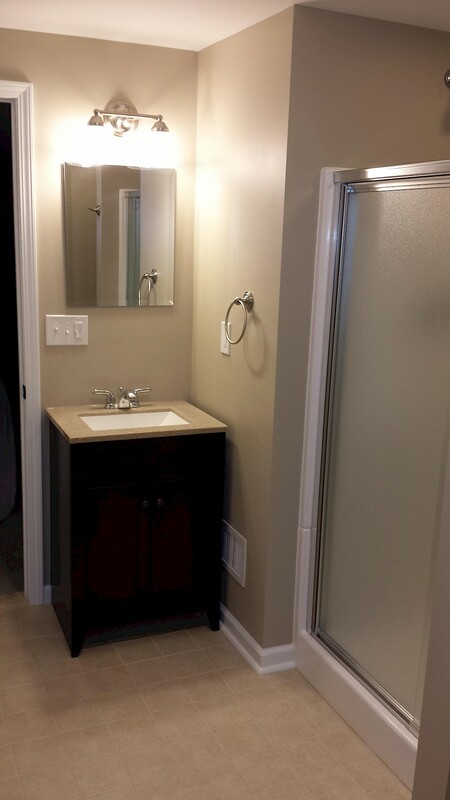 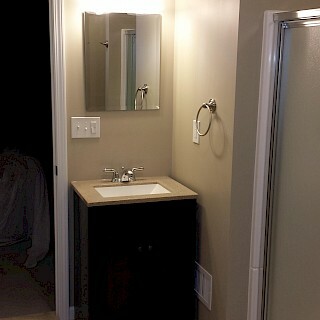 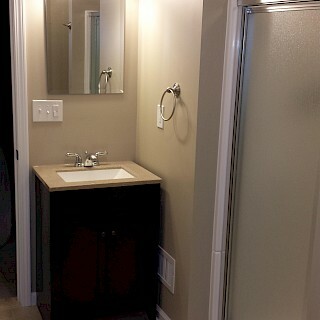 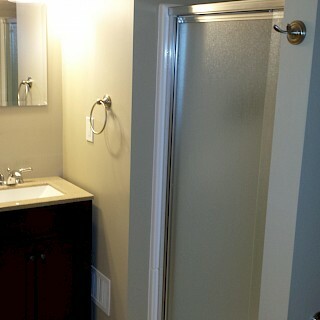 The bathroom involved removal of concrete to establish drains for the toilet, vanity, and four piece shower unit which were all installed by us.